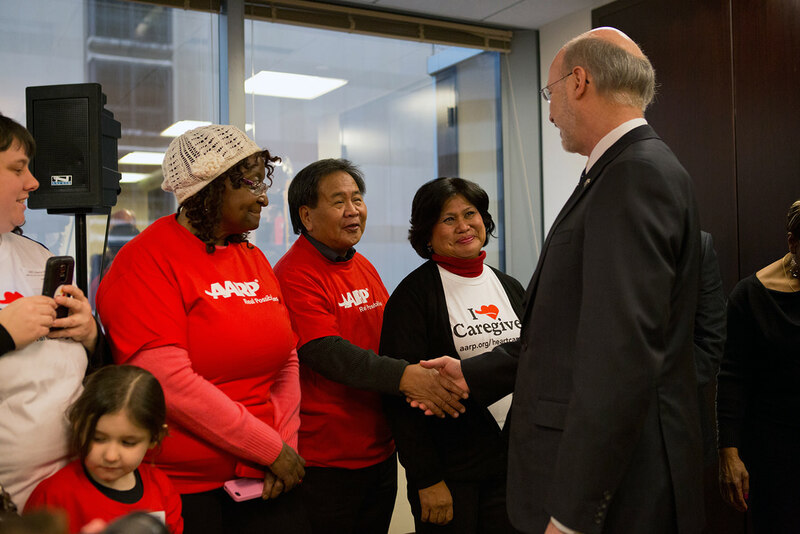 Harrisburg, PA. — Governor Tom Wolf announced today the launch of the Sheriff Senior Check-In Service, a three-county pilot reassurance program for older Pennsylvanians being conducted in partnership with the Pennsylvania Sheriffs Association. The program is run in conjunction with the Pennsylvania Commission on Crime and Delinquency (PCCD). Currently, the Sheriff Offices of Centre, Venango and Warren Counties are participating in the pilot, which is anticipated to run through 2018. Individuals opting to participate in the call-in service must enroll in the program, which features a daily or other regularly scheduled check-in phone call from their county sheriff’s office. If the enrollee is in distress or does not answer the phone after several tries, the sheriff’s office will coordinate the appropriate safety check, including contacting other emergency contacts provided by the enrollee or dispatching a deputy to the address. Sheriffs are partnering with their Area Agencies on Aging (AAA) and other local stakeholders for assistance in getting the word out to eligible older Pennsylvanians in the pilot counties. Sing-up forms are available in County Sheriffs’ Offices. “Our goals are a successful pilot and to offer this program to more counties throughout the year,” Governor Wolf said. Participating counties received no more than $15,000 to purchase a telephone reassurance system, and to cover initial staff time and marketing and enrollment costs. PCCD intends to collect outcome data on the pilot to review the effectiveness of the program. For additional information on funding availability and to register for funding notifications, please visit PCCD’s website at www.pccd.pa.gov.